The Dow, S&P 500 and the tech-heavy Nasdaq declined on Monday as Facebook finds itself in hot water over reports that as many as 50 million of its users may have had their data compromised. At one point in the session, the VIX Index was up more than 20% reports TheStreet's Anders Keitz. With its sharp decline Monday, the Dow turned negative for 2018 after entering the day up 0.9%. The Dow is now more than 2,000 points from its all-time high reached on Jan. 26. Stocks fell sharply on Monday, March 19, as Wall Street prepped for what could be the first of as many of four rate hikes from the Federal Reserve later this week and Facebook Inc. (FB - Get Report) was in hot water over reports that as many as 50 million of its users may have had their data compromised. The Dow Jones Industrial Average tumbled 335 points, or 1.35%. The S&P 500 declined 1.42% and the Nasdaq finished down 1.84% as Facebook shares tumbled 6.8%. Leading the Dow lower were Caterpillar Inc. (CAT - Get Report) and DowDupont Inc. (DWDP - Get Report) . 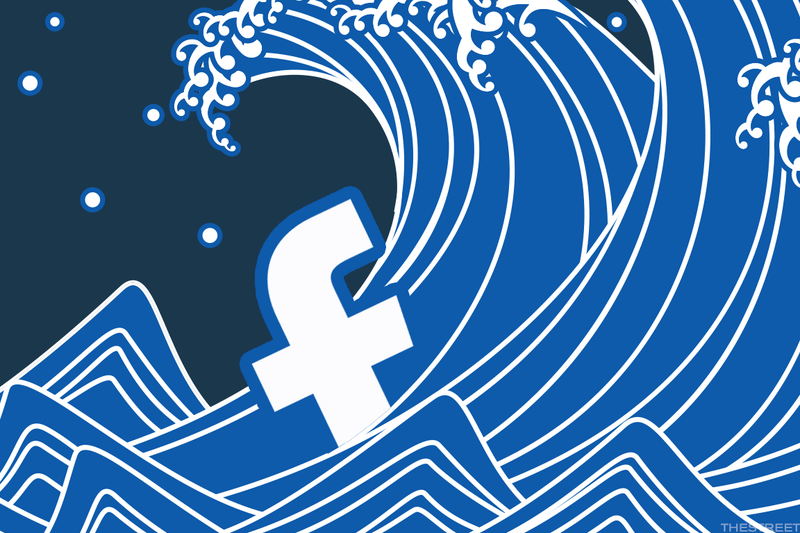 Action Alerts Plus holding Facebook disclosed over the weekend that data analytics firm Cambridge Analytica, which had ties to the Trump campaign, improperly obtained and failed to destroy private data on 50 million users. Lawmakers called it a data breach and said Facebook CEO Mark Zuckerberg should testify before the Senate Judiciary Committee. Scott Kessler of CFRA Research kept a buy rating on Facebook but said the firm sees "regulatory and reputational risks." The Federal Reserve begins a two-day meeting on Tuesday, March 20, and it's widely expected the central bank will hike rates by a quarter percentage point. Wall Street, however, may be more interested in whether the Fed will boost its forecast for rate hikes this year to four from previous forecasts of three. A trial over the Department of Justice's lawsuit to block AT&T Inc.'s ( T - Get Report) $85 billion purchase of Time Warner Inc. ( TWX begins this week in Washington. Action Alerts Plus holding Apple Inc. ( AAPL - Get Report) is designing and producing its own device displays for the first time, using a secret manufacturing facility near its California headquarters to make small numbers of the screens for testing purposes, Bloomberg reported, citing people familiar with the situation. The stock fell 1.5%. Tesla Inc. ( TSLA - Get Report) was down 2.4% after Goldman Sachs Group Inc. reiterated a sell rating on the stock. TheStreet's Executive Editor Brian Sozzi said other aspects to this Goldman note were more concerning. Newell Brands Inc. ( NWL - Get Report) fell 6.5% after the consumer goods company reached an agreement with activist investor Carl Icahn to appoint four of Icahn's nominees to its board. Oracle Corp. ( ORCL - Get Report) is scheduled to report quarterly earnings after the closing bell on Monday. TheStreet talks with Wall Street's very own Lynn Tilton as part of our celebration of women's history month. Don't miss the interview below.